Academy 1st XV welcomed Grosvenor RFC to the Club Rooms at Hydepark for a pre-match lunch. 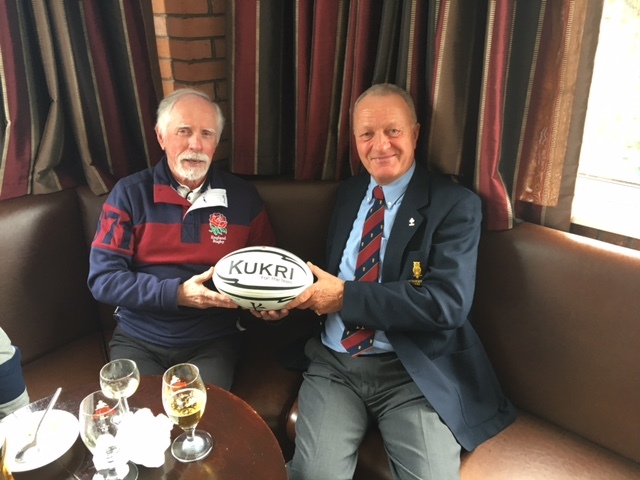 The Match ball was very kindly sponsored by Club stalwarts Tom Kerr and George Saunders. George and Tom enjoying their pre-match lunch.